For many students, math is the most intimidating subject they will take. Most bachelor’s degrees today require, at minimum, a college-level algebra course as a requisite to graduation. Many students hesitate to embark on the college journey or quit midway through simply because they don’t believe they can pass that single math class. 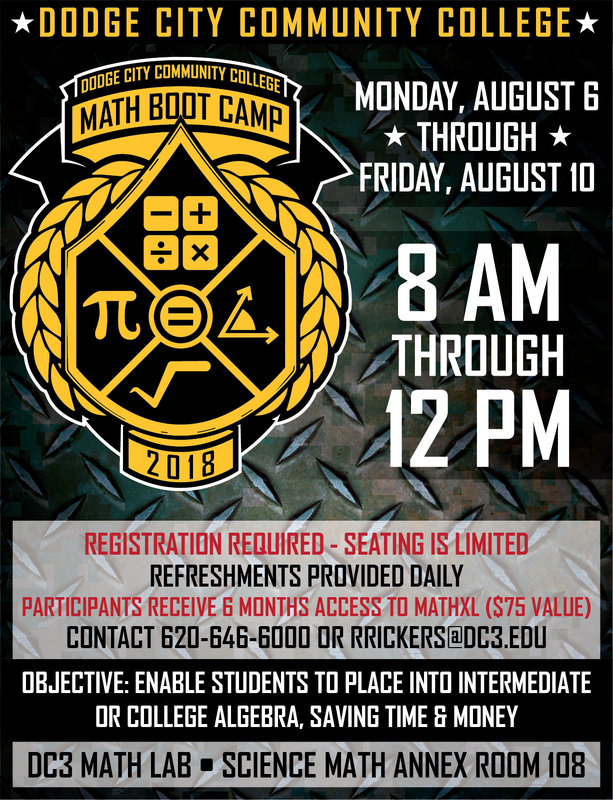 Dodge City Community College and Russ Rickers are helping some students overcome that with the DC3 Math Boot Camp each summer just prior to the first day of class. The week-long camp is designed to improve students’ math skills to the point that they are able to score well enough on placement exams to enroll in – and successfully complete – credit-level algebra. Unfortunately, many students entering college for the first time developed rather rudimentary math skills in high school. Those students are typically placed in “developmental” math classes upon their initial college registration in order to strengthen their skill and enable them to pass algebra class. Those developmental courses do not count toward a degree and often students need to take three or four semesters of remedial math classes before being eligible to even enroll in college algebra. Obviously, this increases the time required to graduate, as well the added expense and effort to achieve a degree. Rickers is the math lab coordinator at DC3, and he has seen first-hand the impact that focused practice has on incoming students. Rickers uses data from Accuplacer testing and enrollment to learn which students have enrolled in developmental math classes. He then sends letters to those students advising them of the availability of the boot camp. At this time, seating is limited to 24 students each summer. After a week of study and practice, students take the Accuplacer test on Friday afternoon. If they score well enough, advisors drop the developmental classes and students are enrolled in a higher-level course to start the semester. According to the Public Policy Institute in Washington D.C., some 80 percent of first-time community college students take at least one basic-skills math course. Of those, fewer than one-in-five earn an associate degree or certificate within six years – with most students reporting the burden of the additional classes as the primary reason for their attrition. 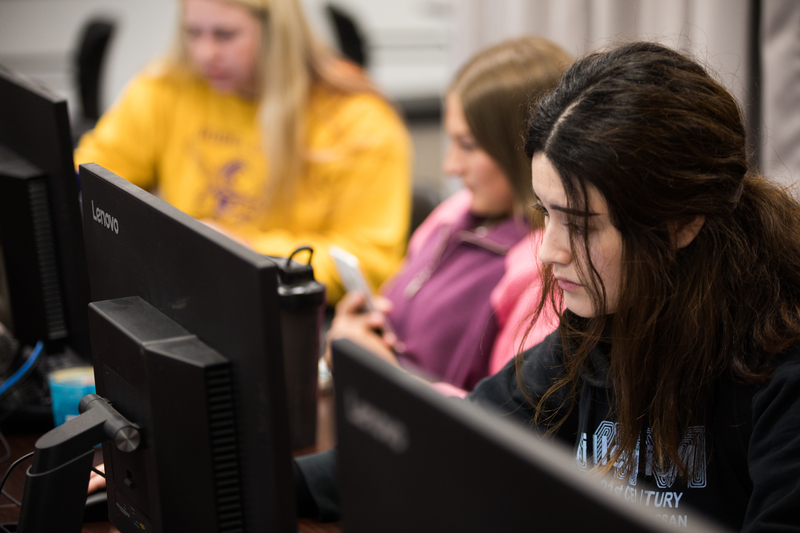 In addition to teaching math skills, the camp allows new students to meet numerous instructors, advisors, and administrators throughout the week, and become familiar with the MathXL software used for all math classes below calculus at DC3. The camp is funded by a STEM (science, technology, engineering, and math) grant provided through the National Science Foundation.